The compact SUV segment, which has SUVs measuring under 4 metres in length, has been a highly-competitive space. When Ford came out with its EcoSport SUV, it sold like hot cakes. The entry of Maruti Suzuki in this space with Vitara Brezza upped the ante by quite a bit. Sales apart, Maruti was able to give new life to the Vitara nameplate by its entry in this segment. Tata Motors have so far been absent from this segment. But now, this space has seen the entry of the Tata Nexon. 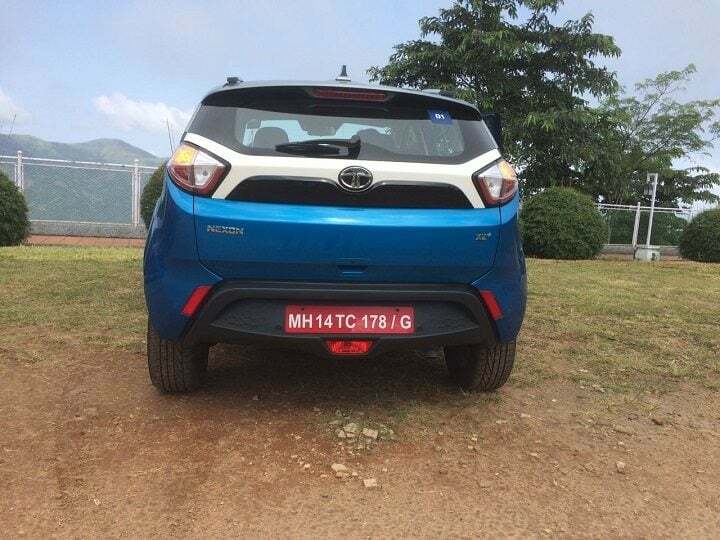 Today we bring you our Tata Nexon test drive review. However, before we start, allow us to tell you a bit about why Nexon is a landmark product from Tata in this highly competitive segment. 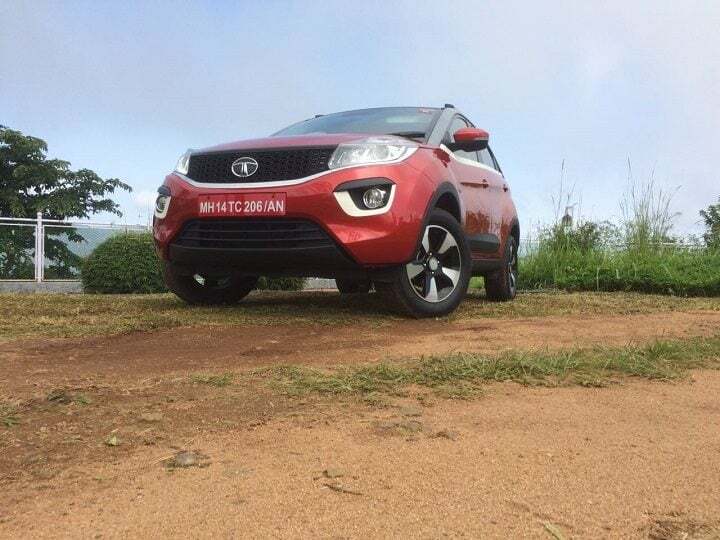 Read on for our Tata Nexon test drive review. It’s needless to say that Nexon is an all-new car from Tata. After all, it is the first compact SUV from the carmaker. This car has generated quite a buzz from its showing at Auto Expo 2016 and Geneva Motor Show 2017. It is a chance for Tata to show the masses that not only can it enter new vehicle segments but also make really word-class products too. It is a chance for Tata to show the masses that it can also make as good or even better cars than its rivals. But is it able to achieve that? 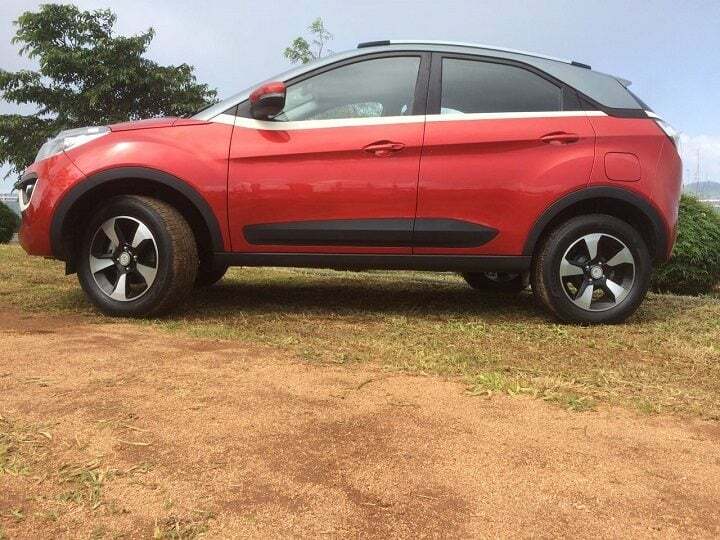 This is what the Tata Nexon test drive review will throw light upon. The Nexon’s design strikes you as something nice and cohesive. It is taut and quite purposeful. Let’s break it down to tell you exactly what it is. The front has a wide grille that merges cleanly into the headlamps on either side. 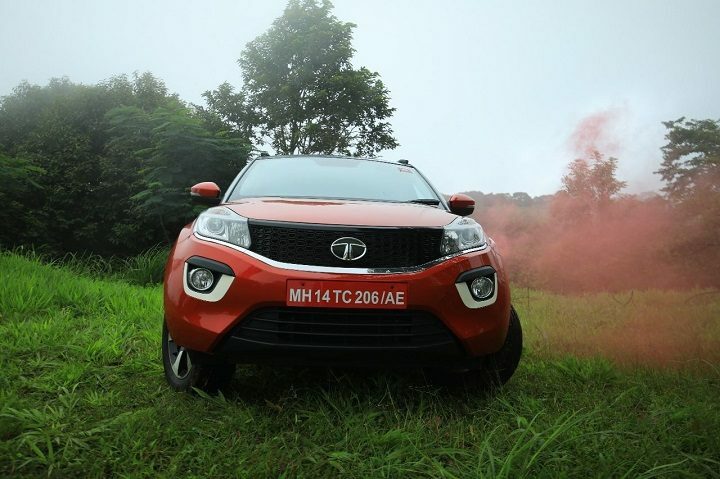 It features Tata’s logo in the centre, which is surrounded by the hexagonal mesh pattern of the grille. The pull-back headlamps, projector type, make the front look chiselled. The fog lamp housings feature hexagonal shaping. Low down in the centre of the front bumper is the tri-slat air dam. Up front, this car looks aggressive-yet-relaxed. It’s as if you are looking at a guy who can punch you without even spoiling his three-piece tailored suit. Moving to the side, the car’s roofline has been angled quite nicely front to back and is ina different shade from the rest of the car’s colour. Only the B-pillar gets blacked-out treatment. The wheel arches are round in shape, lending this car a sense of agility. The five-spoke 16-inch wheels go well with this car’s front-end styling. There is body side cladding too, to give that SUV feeling to the car. The ORVMs get dual-tone housing and feature LED indicators too. The rear looks neat, although the windshield height may bother some folks. The taillamps are small but still look nice. The rest of the rear is quite neat with just a Nexon badge at lower left corner of the tailgate. The number plate housing is in the bumper. In essence, the Nexon has a cohesive design which looks muscular and athletic too. Tata has got the design of this car right from the get-go. The interior of the car is a place to behold. It feels quite roomy, which is worth appreciating. The dashboard gets dual-tone black-beige colour treatment and has a brushed aluminium insert running across its width. The door trims get the same black-beige colour treatment with brushed aluminium insert on the grab handle and you can also spot chrome door handles in there. 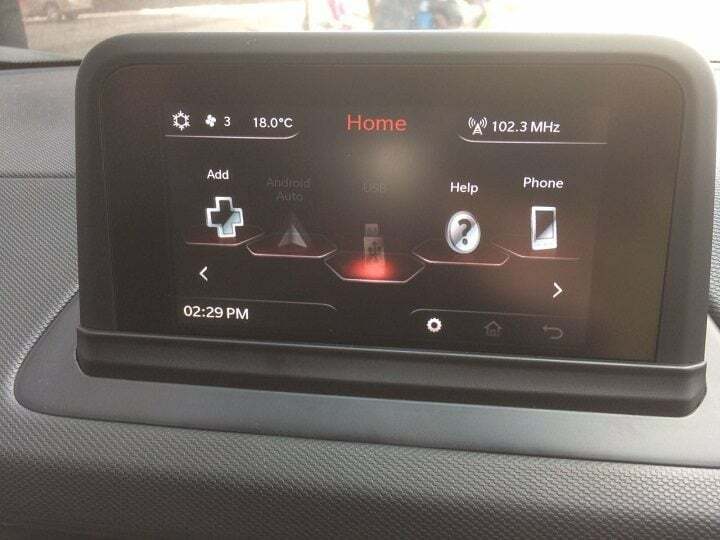 The standout feature of this dashboard is the floating touchscreen infotainment unit on the centre console. Measuring 6.5 inches, it also has Android Auto and Apple CarPlay connectivity. Under the floating infotainment unit sit the two A/c vents partially outlined by a chrome lining. 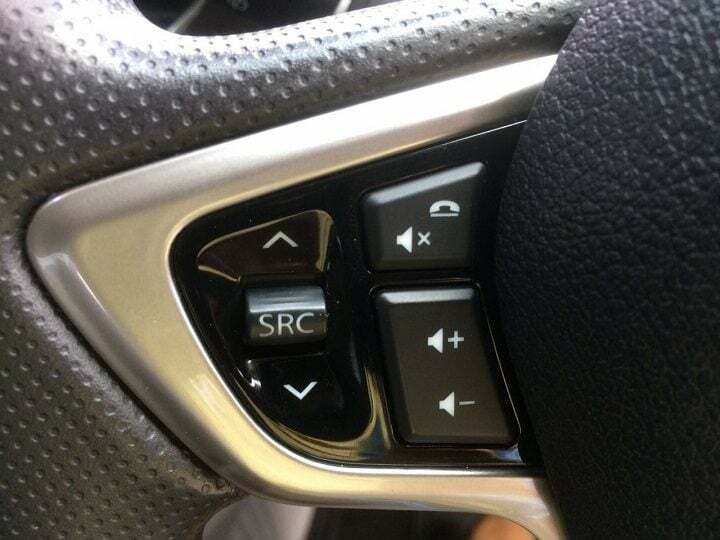 Below these are buttons for HVAC controls and to trigger certain functions of the car. Coming towards the seats, ahead of the gearshifter is the rotary drive-mode selector with Eco, City and Sport written on it. Further ahead is a storage space which has a sliding door cover to hide whatever choose to keep inside it. Coming to the rear, there are A/c vents for the rear seats along with a knob to control the fan speed. The Nexon has black-coloured fabric seats. There are two things to note here. First, the centre armrest up front is finished in leather. 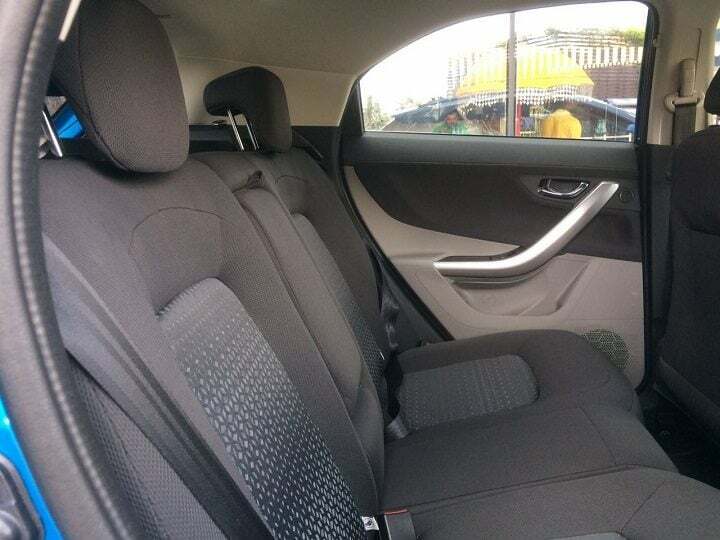 Out back, the rear seats seat two comfortably, given their shape and also have a centre armrest with cup holders. Tata has executed the interior of the Nexon quite nicely. It feels spacious, fresh and quite premium. Kudos to Tata for such a great job. The Nexon features a 1.2-litre RevoTron turbocharged petrol engine. Displacing 1198cc, it has three cylinders and a peak power output of 108BHP @ 5000rpm and peak torque output of 170Nm @ 1750-4000 rpm. This engine is mated to a 6-speed manual gearbox. On the diesel front, the car gets a 1.5-litre RevoTorq turbocharged diesel engine. Displacing 1497cc, this engine has four cylinders and outputs peak power of 108BHP @ 3750rpm and peak torque of 260Nm @ 1500 – 2750 rpm. THis engine is also paired with a 6-speed manual gearbox. Both petrol and diesel cars are equipped with driving modes to alter their throttle responses on the go. Let’s talk about the diesel engine first. Why? Here’s why. When you fire up this engine, few vibes make it to the cabin but smooth out soon enough. The biggest positive of this engine is how tractable it is. You can easily get up to city driving speeds with ease. You won’t even need to engage the Sport mode to experience this aspect of the diesel engine. Speaking of the Sport mode, it makes the diesel engine livelier. However, aside from occasional fun spins in the Nexon, you will barely find use for this mode, although it’s nice to have it at your disposal. Since it is a three-pot motor, don’t expect it to be quite as silent, when idling, as a four-cylinder unit. Once you get going, the petrol engine surprises you by its lack of bottom-end power. Around town, you will have to shift quite frequently to maintain pace with the traffic due to the turbo lag. Out on the open roads, it feels much better to drive around as you can now work around the turbo lag. If mileage is your concern here, better stick to diesel. Be it the petrol or the diesel engine, this is one department where the Nexon shines. Its features the same independent McPherson strut suspension up front and semi-independent rear suspension as its rivals. However, when you are carving corners in this car, you will be surprised by how well it contains the body roll. Just like we mentioned in the design section, this car does not pretend to be an SUV. Its handling also echoes that sentiment. Sure, that high riding suspension does affect its handling. However, you will not feel disconcerted by it. In fact, you will love this car for exactly this reason if it is a sporty ride you look for in your compact SUV. In terms of its ride quality, the jacked up stance means that Nexon’s ride is not plush. However, for a car this price, you don’t look for a plush but a comfortable ride. The Nexon delivers that in spades. Yes, you will still feel some bumps but the quality, on the overall, is quite good. Segment best? Perhaps but that only a full-blown comparison with rivals will tell. In isolation, this car offers great ride quality. Enough said! The Nexon looks great on the outside, feels great to sit and offers a great ride and handling experience. The diesel engine is the star of the show. The petrol is quite good, if you can work around the hurdles thrown by it. The only bit that we are not aware of is the Nexon’s pricing. We think its prices will start at Rs 6.50 lakh and go all the way up to Rs 10.50 lakh. If that happens, this car will undoubtedly offer the most value for your hard-earned money among all compact SUVs on sale. Let’s see if Tata is ready to clear the biggest hurdle standing in the way of Nexon’s success. After all, with how good this car is, Tata may finally get the second wind it is looking so desperately for as far as its passenger car business is concerned. 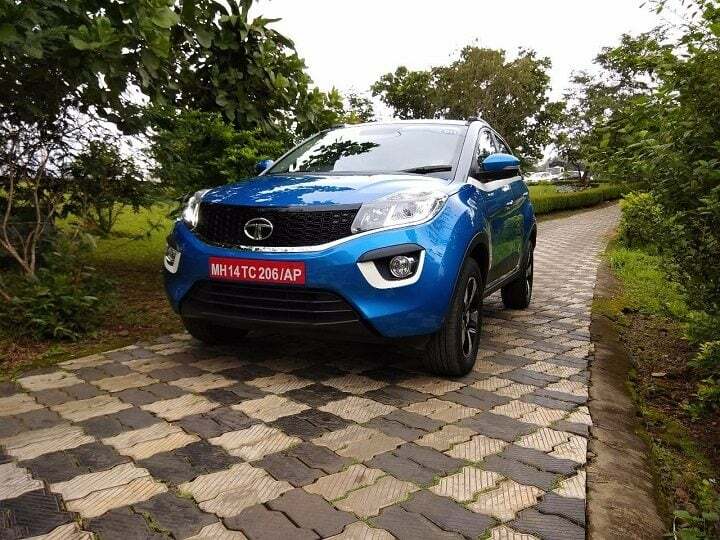 So, what do you about our Tata Nexon Test Drive Review? Do share your views in the comments section below. 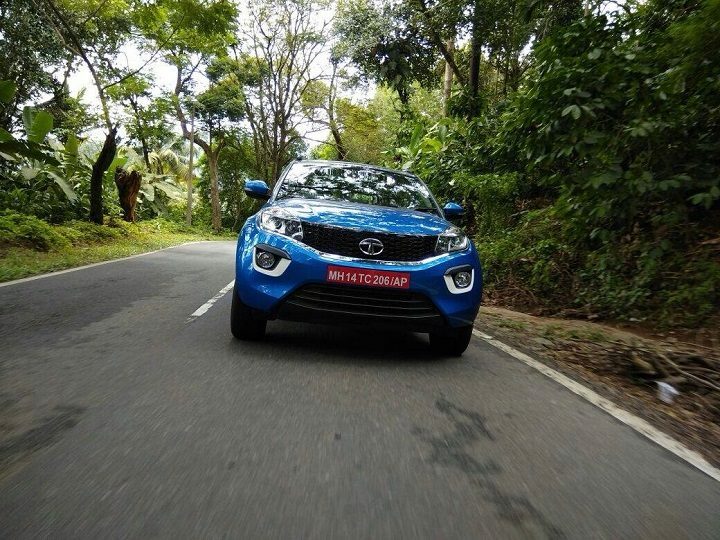 Also, stay tuned for more posts like the Tata Nexon Test Drive review we have here.